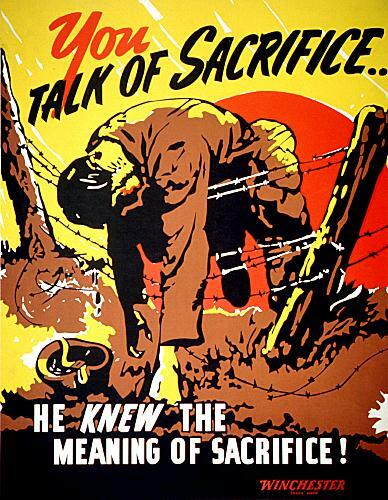 As both World Wars were times of great emotion among the participating countries, propaganda was a very useful technique used by the warring countries’ governme nts in order to persuade/convince the average citizen to think a certain way the government wanted. Propaganda was, for the most part, depicted in posters advertising the greatness of doing certain things, and making the other side look “silly.” This was because at the time radio had yet to become widely available and many could not gain access to the costly newspaper. Posters were inexpensive to mass-produce, and widely available. Some may have been lies (they “stretched the truth”/overexaggerated), but it kept morale up in the homes as well as got people thinking/feeling certain emotions that convinced them to take action. 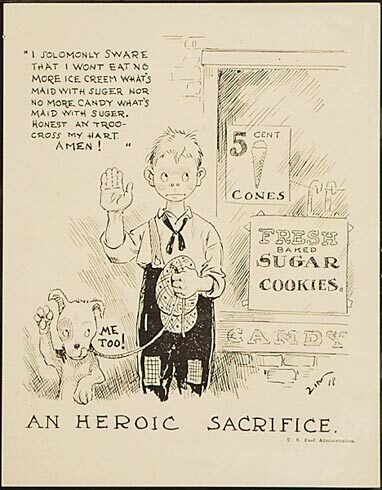 The most famous for m of propaganda in both World Wars would hands down be the American War icon Uncle Sam, calling the men to join the war effort.Â Lady Liberty was also a major figure featured in these cartoons.Â Often, propaganda was displayed in “comic books” and openly distributed to the people. Everyone, everywhere were aimed at to do things that would help out the fighting men overseas. Buying war bonds, saving resources, not hoarding, staying silent (spies and “loose lips” were monitored/an issue), and just joining up to serveÂ the country.Â (Note: Although some nowadays some of these images would be considered offensive and maybe a little racist, it was accepted at the time because of the situation going on. )Â For more wartime propaganda images, visit http://www.crestock.com/blog/design/the-evolution-of-propaganda-design-us-retro-posters-122.aspxÂ or search “world war propaganda” in google images. Posted in General History and Military History. As most of you know ,I love horses so I decided to do a military project on horses! not just in canada but all over the world. The horses used in the military depended on conformation, ( the way the horse is built.) Light weight horses were very fast, but they couldn’t pull the nesecary weight that needed to be brought into battle. Heavy drafts could pull the weight, but they were not able to run as fast as needed. So the military decided to ride in on the light weight horses and use the heavy horses for pulling big loads at the rear, and for carrying the men who were in more armor. The horses used in war had to be able to support the riders weight, carry loads, get over their natural instinct to run from blood, loud noises and confusions, and they had to getused to unusual motions from the soldiers. The horses used in close combat were permited to kick, and inflict injury to the opponent. A horse can pull around 30% of its body weight, but it also depends on wether the horse(s) are using a breast collar,ox yoke or horse collar. A horse wearing a horse collar could pull 8 times more than a horse using a breast collar or ox yoke. Light breeds are breeds such as the Canadian, Arabian and other horses more than 1000lbs. The Canadian comes in black, dark bay, mousse,and some times liver cestnut. It is a Gorgeous horse who was bred for the military. Today they are still used by the R.C.M.P. and riding. When the military had to recrut war horses, they would take horses that were good from farmers and put them into action. One farmer loved his Dales pony too much to let him go and maybe never come back, that he hid his pony in the kithen while a britishxy room army sargent waited for the owner in the next room! ~AWW! Horses were only used in the military during WW1. The private in this is very very short. And those are a few funny moments from my past. What to see… What to see at the Louvre?? But anyway, I’m supposed to talk about what I want to see in this museum, not blabber on about it’s history.Â It houses over 380,ooo objects and displays 35,000 works of art, so clearly we will not have enough time to visit the entire museum.Â Â Therefore,Â I wanna see the Venus de Milo.Â It was sculpted Alexandros of Antioch and it saidÂ to depict the Greek goddess of love and beauty, Aphrodite.Â Â She is armless in the sculpture, though she was believed to have had arms, but in what position,Â no oneÂ knows.Â But I think she looks pretty good for her age of 2100.Â Haha . I would love to see the entire museum, but I’m sure that would take over a week, so these are my top few.Â If you have any questions or comments, please tell me. Hey Guys, Here Is the Rank Post. There are circa 19 ranks in each section of the Canadian Military (Army, Navy Air Force). The Army and Air force share the name of the ranks (except for distinctive names of certain Army ranks), while the Navy has their own name for their ranks. So, those are the regular 19 ranks of the Army, Navy and Air Force. Although, the army has some distinctive names for Master Corporals, Corporals and Privates in the Army. Well, that is it. Hope you liked it! Maybe a little to long? Posted in General History and War. 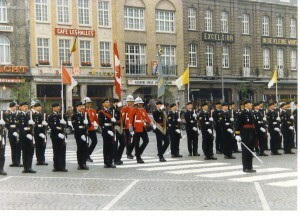 The C.P.S.M. 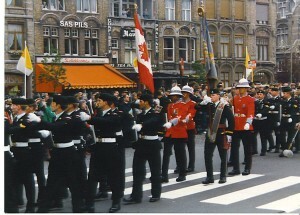 was created in1988 to honour the men and woman who risk their lives to bring peace to people. This Medal has been given to thousands of soldiers scence its commemoration. If you would like to know more, please dont hessitate to ask. Posted in General History and Military History and peacekeeping. Sorry guys, that I did not get this post to you earlier. However, there will be more to come such as a short description of the military ranks! The “Menin Gate Memorial to the Missing” is a war memorial in Ypres, Belgium dedicated to British and Commonwealth soldiers who were killed near Ypres during World War 1 and whose graves are unknown. The memorial is located at the eastern exit of the town. The gate marks one of the main roads out of the town that led Allied soldiers to the front line. 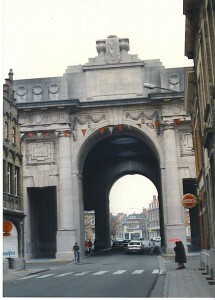 The Menin Gate Memorial was unveiled on 24 July, 1927. Following the Menin Gate Memorial opening in 1927, the citizens of Ypres wanted to express their gratitude towards those who fought in WW1. So, every evening at 8.00, buglers from the local fire brigade sound the Last Post. This ceremony has been carried on uninterrupted since 2 July 1928, except for a few short years during WW2. On the very evening that Polish forces liberated Ypres in the Second War, the ceremony was resumed at the Menin Gate despite the fact that heavy fighting was still taking place in other parts of the town. If attending the ceremony it is not considered appropriate to applaud afterwards. The ceremony is a solemn occasion, and therefore not intended as entertainment or a tourist attraction, though it has certainly become one. 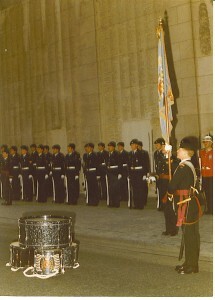 The buglers usually remain at the scene for a short while after the ceremony, at which point appreciation can be expressed in person. There you go, guys. Hope this helped and was interesting. Posted in Battlefields and General History and Menin Gate and Military History. So, since I posted some interesting stuff that re-evaluates the causes of WWII, I figured I’d post some stuff on what caused WWI. There’s actually a lot of stuff I’d like to talk about here. So, the basic events that occurred were as follows. The ‘trigger’ event was the assassination of the Archduke Franz Ferdinand by Gavrilo Princip, a Serbian nationalist, in Sarajevo – a part of the Austro-Hungarian empire, not the Serbian. Still – Austria-Hungary was unhappy at the assassination of their crown-prince, and issued ‘The Serbian Ultimatum’ – a document outlining a list of demands that would have seriously undermined Serbian sovereignty – and gave Serbia 24 hours to respond. Interestingly enough, the typewriter broke down during the last few hours of the response, and a trembling secretary copied it off by hand and rushed it off to the Austrian ambassador. However, they did not agree to all the terms of the treaty. Austria-Hungary therefore broke off all diplomatic ties with Serbia, and declared war upon it. Germany had, by this point, expressed sorrow at the assassination of Archduke Franz Ferdinand, and promised to lend their full support to Austria-Hungary. Russia was allied with Serbia, due to common ethnic ties and Russia’s need for warm-water ports (their ports were generally frozen over for most of the year; having ties with Serbia would allow them access to warm water ports). Germany then attacked France through Belgium in accordance with the Schlieffen Plan, which was intended to be the best military strategy for Germany in the event of a two-front war with Russia and France. Britain then evoked a long-forgotten agreement that established it as the protector of Belgian neutrality, and entered the war on the side of France/Russia/Serbia. Canada was automatically at war with Germany due to its close ties with Britain (something that would change during the Second World War). The ‘traditional’ sources that are said to have caused WWI are militarism, imperialism, alliances, and nationalism. But even looking at that makes these apparent sources seem too simplistic. One of these sources can be ruled out almost immediately – alliances – in two ways. The first is that the alliance system actually prevented war in Europe for a few decades. In the time of Bismarckian Europe (the late 1800′s), the German chancellor, Otto von Bismarck, negotiated treaties that were intended to maintain the balance of power in Europe. He negotiated a “Reinsurance Treaty”, which was a defensive alliance, with Russia, in order to prevent France from having any alliances on the continent of Europe. Due to this, despite extensive French resentment over the loss of the province of Alsace-Lorraine in the Franco-Prussian War, an alliance system kept Europe out of war for decades! The non-renewal of this Reinsurance Treaty at the very end of the 19th century allowed for WWI – according to the terms of the Reinsurance Treaty, Germany was not to join Austria-Hungary in a war against Russia, and Russia was not allowed to join France in a war against Germany. So, the presence of military alliances can be a deterrent as well as a factor that expands the scope of war. Basically, to say that alliances caused WWI is simplistic. The other factor that shows that alliances did not ’cause’ war, and that they merely escalated it, was that if Germany had succeeded in reigning back Austria-Hungary as a part of its alliance, there would have been no WWI. This idea was put forth by a historian named John G. Stoessinger in his book Why Nations Go to War, and is a good point. So again – alliances can prevent war as well as cause it – the alliance system was not a primary cause of WWI. It was, at best, an intermediate cause. P.S. Again, guys, all comments and questions welcome. Especially if you disagree with what I’ve stated, because, of course, this is an interpretation of historic fact (particularly in the second paragraph). So start up an argument. I’d love to hear your take on it. Posted in General History and Military History and Uncategorized. So we heard the Norman Leach presentation today, and he talked about how the Treaty of Versailles was considered to be ‘the first shot fired’ in WWII. To recap, basically, according to the terms of the Treaty of Versailles, which was the peace agreement signed to end WWI, Germany was forced to make harsh reparation payments to Britain and France. This happened largely because there was an intent during the signing of the Treaty to crush Germany, particularly on the part of France, so that it could never be a great power to threaten them militarily. The roots of this resentment stretched all the way back to the Franco-Prussian War in the 19th century, where France lost the province of Alsace-Lorraine, and the states of Prussia (which would later unify to become Germany) won this war and asserted their military might against France. So, France had a vested interest in ensuring that Germany would never again be able to attack them as it had done previously – especially since France shared a border with Germany. So, all in all, the Treaty of Versailles forced some pretty hefty burdens on the Germans through the “War Guilt Clause”, where the Germans were blamed for starting WWI (which they found unfair, since the conflict had itself started with Austria-Hungary and Serbia). John Maynard Keynes was a famous economist who accompanied Woodrow Wilson, the American president of the day, to the meeting that discussed the terms of the Treaty of Versailles. He said – unheededly, of course – that if the Allies pushed this crippling economic burden upon the Germans, then there would certainly be a second world war. He was correct – or was he? The work of a (relatively obscure) French economist, Etienne Mantoux, suggests that Keynes was actually incorrect – that he had anticipated some economic downturns in the prices of commodities that never actually happened. In fact, reasoned Mantoux, Germany was able to make the reparation payments – it just ended up not wanting to. English historian A. J. P. Taylor brought Mantoux’s work into more mainstream historiography, and used it for his theories. He suggested that the poor economic conditions in Germany were partially manufactured by the government in the case of, for example, the Ruhr Valley strike, during which German workers were paid without doing any work, as the government attempted to passively resist France and the terms of the Treaty of Versailles. As well, the printing of additional money led to runaway inflation, which was also used by Taylor as evidence. His conclusion? The Treaty of Versailles did contribute to WWII. But not because it crippled Germany too much – because it crippled Germany without making it totally unable to reemerge as a military power. P.P.S. I forgot about listing sources. Hm. This is tough, because I gathered most of the stuff previously, and I’m using my notes about interesting details to come up with it. Most of this is from A. J. P. Taylor’s book The Origins of the Second World War, which was written in the early 1960s. Soooo this post is here just for you guys to drool over the stuff we’re gonna eat for the (appx.) 30 meals we’re having while we’re in Europe . First stop, Netherlands – The area is well-known for its varieties of cheese and the origin of “DutchÂ Process Chocolate”(treated(alkalized) to be more mild), traditional Dutch cuisine consists mostly of vegetables and limited meats. Dinner starts usually at 6:00 p.m., so that isn’t much of a change. It’s kind of hard to explain, so I’m just going to list some well-known Dutch dishes: “Hutspot” (made with potatoes, carrots, and onions served with meats like smoked sausage), “Snert” (Dutch pea soup), and “Boerenkoolstamppot,” curly kaleÂ (cabbage)Â mixed with potatoes, served with gravy, mustard, and rookworst sausage. Some traditions – Washing your hands, being on time, and starting to eat at the same time is respectful and important. ‘eet smakelijk’ (pronounces ATE smahk-A-lick) means the same as “bon appetit” and is used by the host to start. And finally, it is respectful to keep the hands above the table (elbows off). Secondly, Belgium – Traditional foods include waffles, chocolate, mussels, fries and others (sweet!). Â Although very flexible, Belgians seem to take their eating very seriously (sometimes they will have one meal a day which extends over 5 hours!). According to http://www.settler-international.com/belgium/habits.htm, “Eating is considered as one of the greatest pleasures in life. Expect to spend two to three hours for lunch. If you want to be quick, select the dish of the day or ask the waiter what can be served quickly.” Eating raw meat is actually a delicacy there as well, and horse meat is available (just great )Â (:s). Finally, Paris – ummm… Paris is known for a lot of foods. There are a lot of cafes. I guess they’reÂ famous for truffles (turns out they’re underground mushrooms, not chocolates like I thought ), croissants, escargot, and their cheese and wine, and crepes. Also, in Paris, food is a subject of great influence and importance in the people’s lives. Water is traditionally never on the table – wine is served to everyone, regardless of age. Well… that’s all I have for now. I know there are probably some misconceptions above, so please leave any suggestions/corrections in the comments. Thanks. Posted in Culture and Paris and Uncategorized.